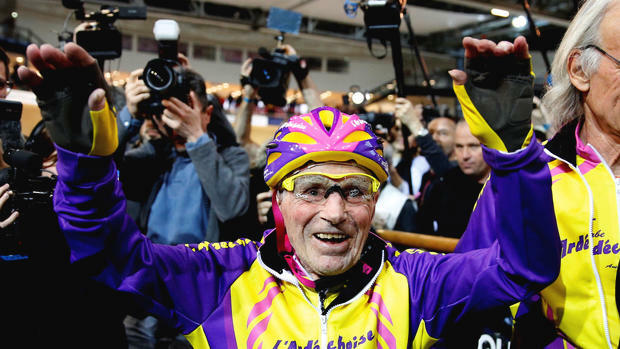 105-year-old Frenchman, Robert Marchand, has set a new one-hour cycling record for his age after pedalling for 22.547 kilometres in the national velodrome in Saint-Quentin-en-Yvelines. Age is slowing him though as three years ago the retired firefighter, boxer and former national gymnastics champion, managed to ride 26.927 km in one hour, a record for someone aged over 100. By comparison, the one-hour world record is 54.526 km, set by British Tour de France winner and multiple Olympic gold medallist Bradley Wiggins.